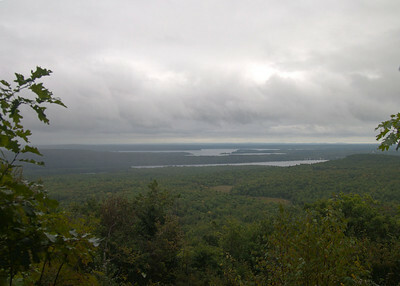 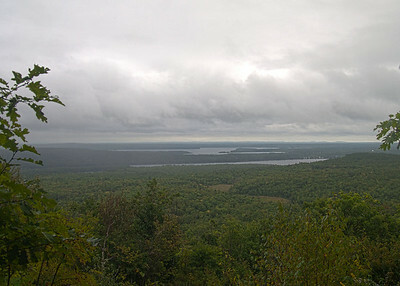 View from Round Top Trail looking towards Belgrade Lakes. 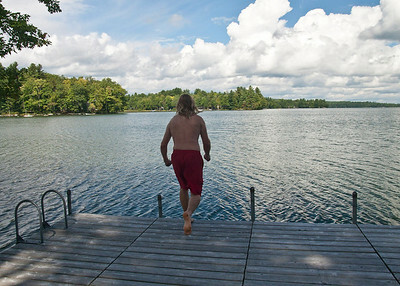 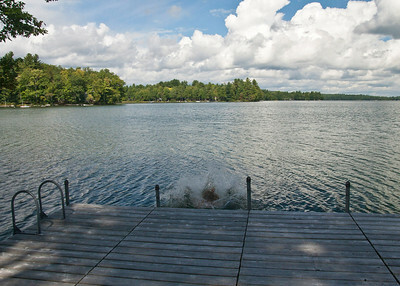 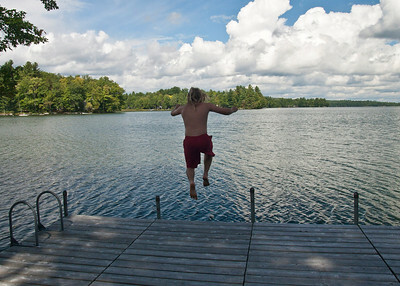 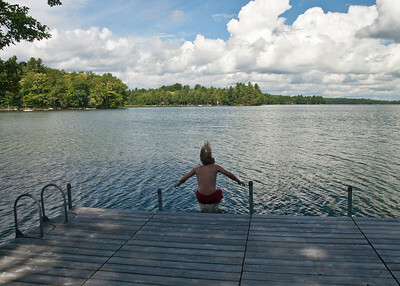 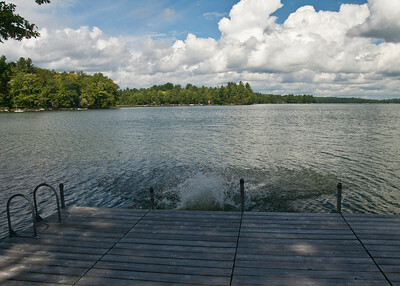 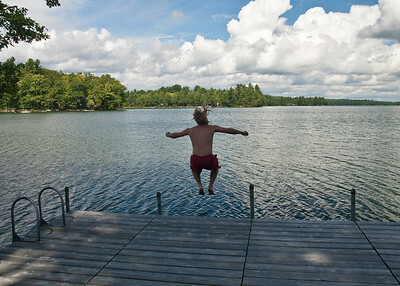 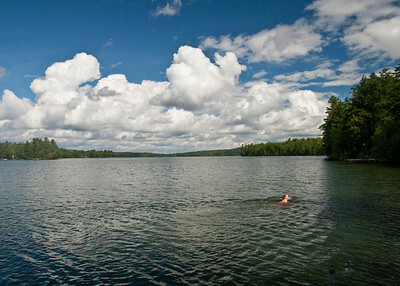 Jonathan jumps in Ellis Pond. 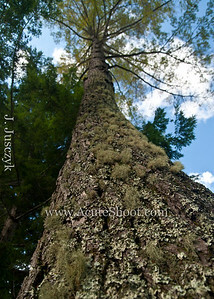 Cool tree on the lake with moss. 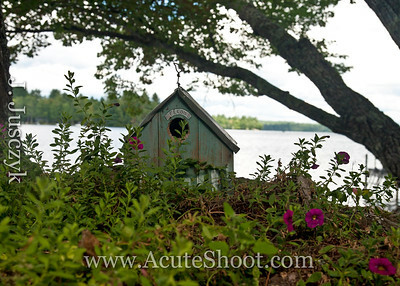 Fairy house by the lake. 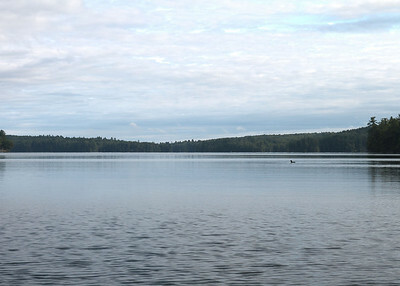 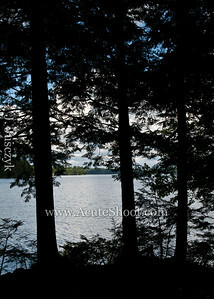 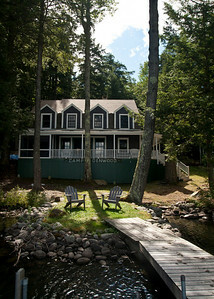 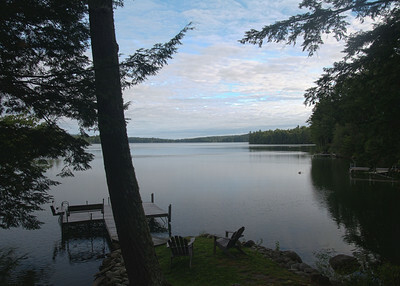 View of Ellis Pond through the trees.